IMMER Group is one of the world's leading manufacturers of flexible packaging. One of the Group’s enterprises IMMER Digital has been operating in the Latvian town of Ventspils since February 2017. Some days ago, the IMMER Group President, Mrs. Irina Mirochnik, was awarded the Third-Class Order of Merit by the decree of the President of Ukraine. This was followed by Pentawards, the most prestigious award in the packaging design world. This time the conversation with Irina is about business climate in Latvia, about relations with the state authorities and prospects of a modern enterprise. Could you tell us why you chose Latvia to set up a new production? How is it to work in our country? Irina Mirochnik: We visited a few European countries, looking for a production site and acquainted with the business environment and the level of state support there. Finally, we fixed upon Latvia and, I hope, we didn’t make a mistake. It's not about what is declared in the law, but about how quickly the governing bodies respond to our requests. In Latvia, if we submit a request to a governing body, the answer arrives as quickly as possible, except for the cases requiring more detailed study. Unfortunately, in other countries you can wait 30 days, and, in the end, get a run-around reply. In fact, Latvia is not just a small country. There are Lithuania and Estonia right near it an across the sea there are Finland, Sweden and Denmark, nearby Poland and, again, Russia, with which the connections have long been established. 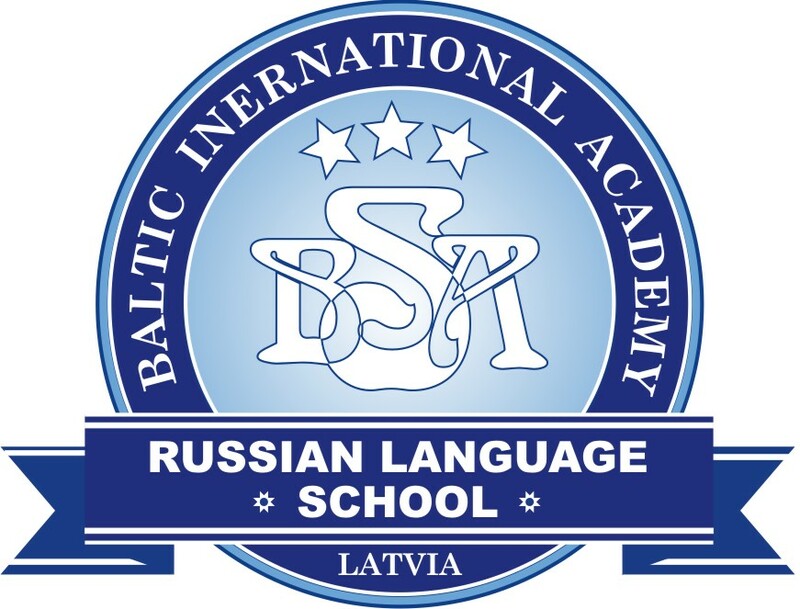 On top of it, in Latvia you can find the highly skilled personnel at different levels, the people are good at work, most speaking English and Russian. When a project is in alignment phase, we have to contact a lot with state organizations on various issues where we can find full understanding. And this is a very important factor. BC: How did you rally the team for the Ventspils plant? Were there any problems with recruiting proper specialists? I.M. : Before the start of the project in Ventspils the people were searched through recruiting agencies and job search sites. Some of the staff was trained at our plant in Kiev, some of them we sent to the training centers of our suppliers of equipment, software and raw materials. Our suppliers work in different countries and cities - in Israel, Spain, France, Italy, Germany, the Netherlands, and, of course, in Ukraine, in Kiev. The training practice at our suppliers’ sites has been arranged on a continuous basis. People are our most valuable asset, but at the same time, the greatest risk. There are those people who are with us from the very beginning and, I am sure, will continue to work with us. There are also those who we had to part with. That’s work. That's life. Who cannot cope with his duties, will have to leave, and we invite the stronger ones. I'm in comfort with that. Over the past year, we have significantly re-arranged and strengthened our team. We have heavily invested in staff training, participation in exhibitions and conferences, both as participants and speakers. Anyone who wants to work is welcome. But we are not a charity company. It's business. BC: Who are your partners in Latvia? Are there any specific features about working with them? First and foremost, it’s our customers - Spilva, Laima, Dobeles Dzirnavnieks, Cido, Baltais, Jersikas čipši. Business environment is no different from other countries. All partners want stability, everyone wants quality, everyone needs attention. Our production is aimed at the customer, and we are obliged to introduce them regularly to our innovations and new products. You must understand the client better than the client understands himself. No special features. The standard approach. BC: How are relations with state and self-government bodies formed? Do you feel support from their side as a foreign investor? I.M. : As a foreign investor, our company does not feel any special support. And as an investor, if we are talking about cooperation with the Ventspils Free Port Authorities, yes, we do. We are in a normal constructive dialogue, and we always solve all problems together. We have normal business relations with the city self-government and the mayor's office; we have an interest in terms of investment, job creation, and payment of taxes. It is worth noting that in 2017 our company paid taxes amounting to 355 thousand euros, and for 8 months in 2018 we have already paid 340 thousand euros. We are creating fully qualified workplaces, the average salary in our company is one and a half times higher than that in Ventspils and amounts to 1300 euros. The Ecological Self-Government Committee where we receive permits, put forward rather stringent demands. We are conforming with those, undergoing all examinations and regular inspections, as well as certification according all world standards (ecological, social, safety and other). At the same time, there are some questions to the country. In my opinion, there are quite a few strange things in relation to business and industry. That should be pronounced loudly. Electricity with incomprehensible coefficients. In Latvia, it is several times more expensive than in the neighboring countries of Lithuania and Estonia, not to mention Germany or Denmark. And from this point of view Latvia is not competitive as a country. The question of the mandatory electricity purchase (OIK) component is in the competence of the government, and only the government can settle this issue. Our technologies require special films, we have patents on them, and we need to produce them by ourselves on our equipment. The production of these films require a lot of energy, therefore, because of the high cost of electricity, we abandoned the extrusion project in Latvia. For you to understand - in Ukraine the share of electricity in the product price comes to 5-7%, in Latvia it is about 15%. And this is just one example of how the development of the economy and industry in Latvia is being put the brake on. The issue requires an urgent solution. One more question is lying in the sphere of law. The Code of Administrative Offenses in Latvia is an old Soviet document, just with minor changes. The criminal law, in my opinion, also does not correspond to the European practice. If you look at the statistics on the website of the European Court of Human Rights, Latvia is among the leaders on violations among the EU member states. The reason is a serious inconsistency between the current legislation and the enforcement of the European practice and the European Convention on Human Rights. The procedures are not provided, the responsibility of the state officials for illegal actions or inactions is not prescribed. We all know that any state official (prosecutor, judge, investigator, police officer, tax officer, customs officer, etc.) is a person who makes his living at the account of taxes of citizens and businesses, so his responsibility should be clearly spelled out, clearly regulated and be rigid enough. I was shocked to know that there is no regulation of the powers and order of tax audits in the system of the State Tax Service (SRS) organization. In no European country, can a tax inspector come to you without warning and stay at your enterprise as much as he wants. There is no regulation of the actions of the tax authorities. The enterprise should work, earn money and pay taxes, and not sit with a tax inspector for hours and days, explaining the essence of economic operations. If we look at Ukraine, Switzerland, Great Britain, Poland, everything is outlined and regulated. Latvia also needs to raise the level of training of tax inspectors and use the database of the Register of Enterprises which already exists in their analytical documents. Not people for SRS, but SRS for people. In Czech Republic, for example, the director of our company is invited to a consultation, he is advised how to pay taxes properly and do what’s best for the enterprise and for the country's budget. They talk on equal terms, invite each other to meetings, deal with the contracts and recommend the best way to pay taxes on existing contracts. Another problem is the organization of tender purchases at the expense of the state budget financing and the EU money. Unfortunately, here, in fact, the only and key criterion is price. The indicator of product quality is almost completely ignored, the existence of unimplemented projects is not considered, whereas it should be included in the tender arrangements. After all, the price determines the quality. It's ABC. Latvia is not that rich to buy cheap. And we have already come across the fact that projects are delayed because of the above conditions of tender purchases. By the way, I was surprised that the voice of business associations and professional organizations in Latvia is not on an equal footing with the voice, for example, of the local self-government. For instance, in Ukraine they have had the upper hand in decision making by legislators and the government for quite a long time. It is a normal European experience. In Germany, in the EU, we also influence the adoption of directives through professional associations. In May, the EU adopted the Directive on closed cycle economy. Professional associations have consulted in technical and other committees for five years. The decisions taken by Brussels in May have considered the opinions of all parties. Yes, we are competitors, but we have common problems, and they should be solved together, in a civilized and European manner. 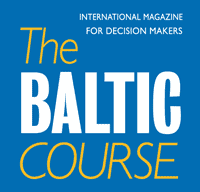 In Latvia, unfortunately, I have not seen such influential business associations. It is a very small country, everyone knows each other, and it seems that everything can be solved in some other way. It is wrong. Professionals need to get together. The voice of business and industry should sound in the same way as the voice of self-government or the voice of parties does. BC: Are you comfortable to cooperate with Latvian banks? Are there any obstacles or delays? I.M. : It's perfectly clear to everyone that the well-known situation with ABLV has destroyed the banking system of Latvia. A well-known fact. Initially, only a few commercial banks invest in industry, the rest are engaged in crediting construction and real estate. The conditions for investing in industry are not market-based. Having come to Latvia, I was surprised. Your banks did not understand a thing about industry and equipment. Only two or three banks financed industrial enterprises, the rest refused to do that. They limited their crediting either to retail or construction. We did the first stage of the project with ABLV and ALTUM, and thanks to their financial support, we have positive results today. But again, the situation with the banking system is a tragedy for all of us. Today there are a few Scandinavian retail banks left and two or three local banks. For the second stage of the project, we also had a financing agreement with ABLV. But in view of the circumstances we had to look for partners beyond Latvia. In the end, we simply work directly with Washington, with the International Finance Corporation (IFC), a division of the World Bank for Reconstruction and Development. They have learned from us that there is such a country, Latvia, and how important it is to invest in this country. Thanks to us, IFC representatives visited the Investment and Development Agency and the Ministry of Finance. Now IFC offers Latvian banks cooperation in financing the second stage of the IMMER Digital Development Project, the implementation of which will create additionally 60 well-paid jobs in Ventspils. However, in the long run we all understand that a country without a banking system is not a country. Business and industry need banks and financial instruments for long-term investment. It is their main task. And industry generates the country's GDP. This is my holy conviction. Neither consulting, tourism, nor trade can raise the country. Take Switzerland – it still earns well enough on its banking system today, but it is a highly technological and highly profitable industry based on innovations. Not much being written and spoken about it, though. BC: What would you recommend foreign investors to do for entering the Latvian and European markets? I.M. : Do not be afraid to go and talk with people at all levels. In Latvia, all the doors are open. Call and write to the minister, the minister assistant, or the head of the department to negotiate a meeting. Talk to everyone! Once again, the government and self-government at all levels are interested in constructive and effective work and result.